Access to the technologies and business models of the future: Porsche has increased its total investment in venture capital activities by EUR 150 million for the next five years. The objective of “Porsche Ventures” is to gain access to trends, new technologies and business models. The investment activities being undertaken by Porsche Ventures build in part on the company’s existing start-up investment activities. “To continue building on the success that we have enjoyed over the past few years, we must fundamentally change our business model. 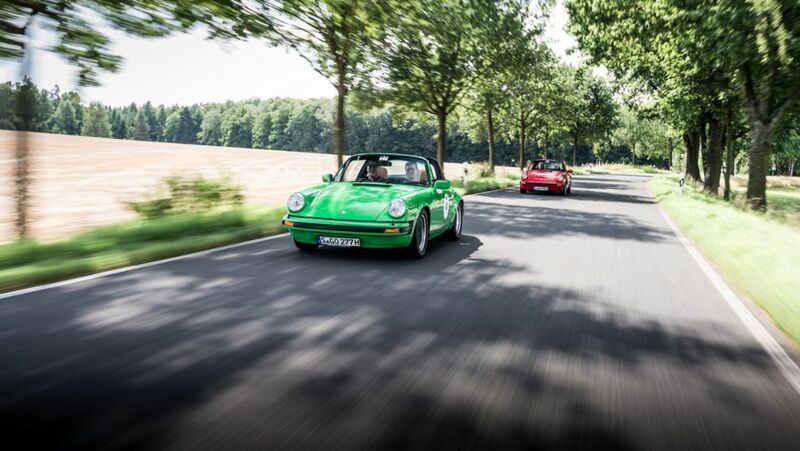 Porsche has always been among the pioneers of the automotive industry. To date, innovation has been driven to a large degree by technology and with strong links to our current core competencies. In some cases, the changes that are now becoming necessary are linked to topics beyond our main fields of expertise. With this in mind, it is essential that we build a strong ecosystem with competent partners”, explains Lutz Meschke, Deputy Chairman and Member of the Executive Board for Finance and IT at Porsche AG. A minority shareholding in Berlin-based start-up “Gapless” represents the latest investment made by Porsche Ventures. This new company allows customers to digitally manage their vintage vehicles, including the entire vehicle history, and share this information with other users in a secure format that prevents forgery. To offer this service, the start-up is developing a solution based on blockchain technology designed to maintain or increase the value of collector’s pieces. Gapless is currently in the foundation stage and employs nine members of staff. Porsche Ventures has also recently invested in fast-growing technology company WayRay. This Zurich-based start-up develops and produces holographic augmented reality head-up display technologies and is working on the ability to seamlessly integrate virtual objects into the driving experience. Porsche bought into WayRay as a strategic lead investor during the Series C funding round. The total value of the financing round is 80 million US dollars. In addition, the Stuttgart-based sports car manufacturer holds shares as a strategic investor in start-ups Anagog, Miles and home-iX, as well as technology and sports car company Rimac. Alongside direct investment deals, Porsche invests in selected venture capital funds, such as e.ventures in Europe and the USA as well as the Magma and Grove funds in Israel. The company is also a member of the “Startup Autobahn” innovation platform. In March 2018, Porsche Digital worked with Axel Springer as part of a joint venture to launch the start-up accelerator programme APX. However, in its search for suitable partners Porsche does not invest in start-up companies alone: In addition to the deals being made via Porsche Ventures, the sports car manufacturer invests in established businesses that are making a difference to the field of mobility through pioneering technologies. Holographic augmented reality head-up display technologies: Porsche has invested in the start-up WayRay.